In the final chapter of the trilogy, Sebastien will try anything to protect Belle from her previous owner. 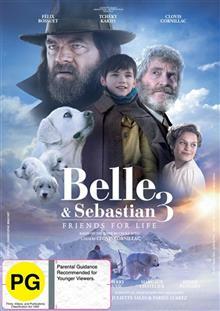 12 year-old Sebastian has decided not to follow his father and Angelina to Canada, deciding to stay in the alps to watch over Belle who has now become the mother of three be... read full description below. In the final chapter of the trilogy, Sebastien will try anything to protect Belle from her previous owner. 12 year-old Sebastian has decided not to follow his father and Angelina to Canada, deciding to stay in the alps to watch over Belle who has now become the mother of three beautiful pups. When a stranger arrives claiming to be Belles rightful owner, Sebastian will do all it takes to protect his best friend and her little ones.